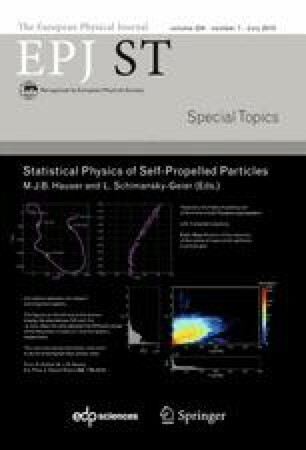 Recently, we proposed a self-propelled particle model with competing alignment interactions: nearby particles tend to align their velocities whereas they anti-align their direction of motion with particles which are further away [R. Großmann, et al., Phys. Rev. Lett. 113, 258104 (2014)]. Here, we extend our previous numerical analysis of the high density regime considering low particle densities too. We report on the emergence of various macroscopic patterns such as vortex arrays, mesoscale turbulence as well as the formation of polar clusters, polar bands and nematically ordered states. Furthermore, we study analytically the instabilities leading to pattern formation in mean-field approximation. We argue that these instabilities are well described by a reduced set of hydrodynamic equations in the limit of high density.